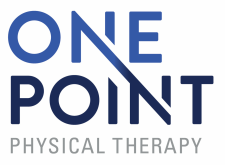 OnePoint's treatment philosophy is based on education and empowerment of the patient. Understanding the surgery, discussing recovery time frames and setting realistic, attainable rehabilitation goals are the foundation of treatment. Weather you are a high level athlete or you simply want function without pain, we have have the experience and expertise to help. Not sure if we can help before or after your surgery? Contact us to find out.